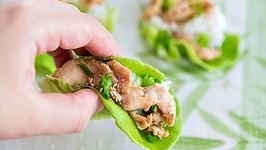 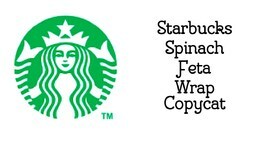 Chicken wraps which are super healthy. 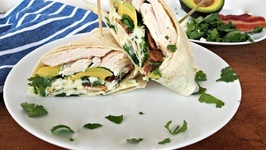 This Kids school lunch is great for Lunch Bunch! 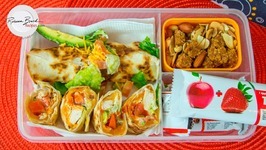 Back to school lunches are a challenge to be healthy and delicious. 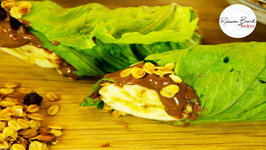 Rebecca Brand shows how to make an easy delicious healthy lunch,A toasted Chicken Wrap with a great trail mix. 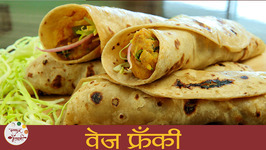 Learn How To Make Veg Frankie Recipe from Chef, Traveller and Blogger Sonali Raut only on Ruchkar Mejwani. 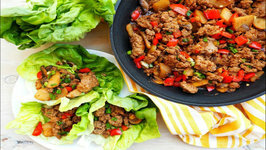 Ground Turkey is given a quick saute with Asian aromatics and served in a lettuce wraps. 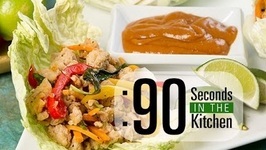 Here are the ingredients and steps to make this recipe! 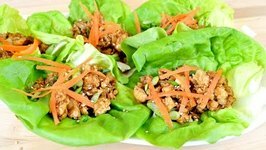 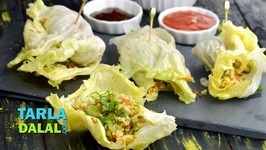 An idea thats totally out of the ordinary, easy to execute but all set to please... get ready to try out our innovative Lettuce Wraps. 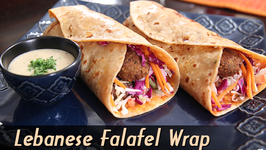 In the first episode of this brand new show of Ruchi Unboxes With Bajaj Electricals, learn how to make Lebanese Falafel Wrap at home a delicious wrap recipe by Ruchi Bharani. 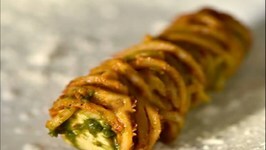 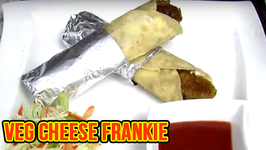 Learn how to make Cheese Veg Frankie in just a few easy steps and enjoy this popular street food at home. 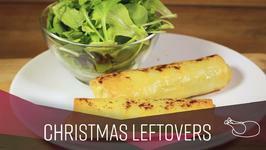 With great Christmas dinners come great amounts of leftovers... we'll show you how to revamp your leftover potatoes into tasty filo pastry parcels. 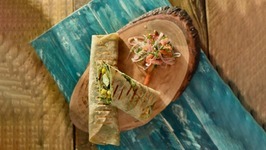 Bring your favorite flavors from Thailand to your Kitchen with a crispy and fresh Thai basil wrap. 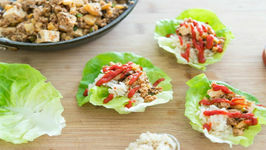 It's healthy and perfect for any time of the year. 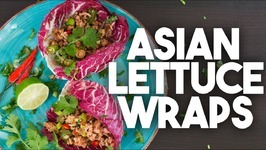 Betty demonstrates how to make a great-tasting Veggie Wrap. 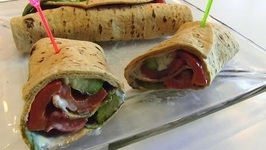 This recipe uses zucchini and red bell pepper, but you may change the vegetables to any that you like. 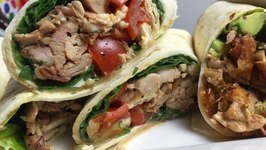 4 ideas for chicken wraps - A great recipe for Grill and Smoker. 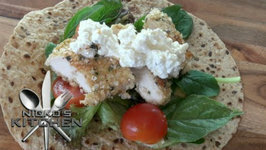 Seared Chicken Snack Wraps, inspired by the McDonalds wrap of the same name, are a delicious snack perfect for lunch. 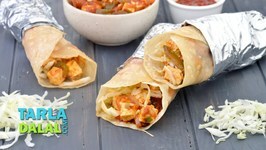 We've got the best brunch inspiration right here, a mega brunch wrap! 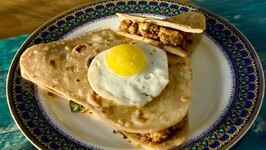 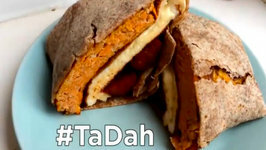 Packed with sweet potato fritters, chorizo and egg it's an incredible way to start your weekend, and ..